A very interesting exposé was made via mainstream Toronto Star about the “dark side” of the notorious HPV vaccine marketed as Gardasil, last February 5, 2015. If you wish to avoid deadly vaccines and enjoy real protection try here. Like Kenzie and Armstrong, many of the girls say the vaccine was pushed on them by school officials, nurses or doctors who understated the risks, sometimes claiming zero significant side effects despite the existence of a list of rare but serious vaccine-related reactions published by the drug’s maker. The Star has found the girls’ concerns are not isolated, that in Canada important safety information about the vaccine has not been communicated to many young patients and their parents. As part of its ongoing investigation into drug safety, the newspaper analyzed side-effect reports from a Health Canada database, and interviewed regulators, a doctor closely involved in the vaccine’s clinical trial and, in 12 cases, young women and parents who believe the vaccine caused considerable suffering. Some of the girls have, after several years, made partial recoveries and are trying to live normal lives. Others are still bouncing from doctor to doctor, looking for answers. Approved in more than 130 countries, the vaccine protects against strains of human papillomavirus (HPV) that cause 70 per cent of cervical cancer cases and 90 per cent of genital warts. Roughly 400 Canadian women die of cervical cancer each year. HPV is a common sexually transmitted infection. By targeting girls in their young teens, health officials seek to vaccinate them before they become sexually active. The vaccine is ineffective for someone already infected with these strains. While Health Canada and the U.S. FDA say the vaccine is safe, officials in other countries have sounded alarms. In 2013, Japan’s health ministry said it would stop promoting the vaccine while it looked into serious side-effect reports. Gardasil was approved in the U.S. in 2006, and Health Canada soon followed by issuing Merck a licence to sell the vaccine north of the border. Leading health authorities have largely lauded Gardasil, a series of shots that cost a total of $400-$500 and that, in Canada, provinces pay for and public health nurses administer in schools. The three shots are given over six months. Merck-sponsored trials found the vaccine prevented nearly 100 per cent of abnormal growths — precursors to cervical cancer — related to two HPV types. Trials also found serious side-effects were rare, with just five reactions among more than 11,000 Gardasil recipients that were found to be possibly, probably or definitely related to the injection. “I’m extremely comfortable that this is a safe vaccine,” said Dr. Jennifer Blake, president of the Society of Obstetricians and Gynaecologists of Canada. There was an intense lobbying effort behind Gardasil’s rollout in 2007. Eight months after being approved for sale, a national vaccination program was born. Ottawa committed $300 million. In Ontario, officials announced that all Grade 8 girls would have free access to Gardasil. Critics were wary of the quick embrace of Gardasil, saying the vaccine’s long-term efficacy and risk were unknown. Kaitlyn Armstrong said she and her fellow eighth graders heard about Gardasil from a guidance counselor during a short information session given at her Whitby school in September or October of 2009. Before each of the three shots, a public health nurse asked Kaitlyn if she had any allergies. Each time, Kaitlyn said, she responded, “Yes, I am allergic to metal,” and the nurses said nothing in response and then gave the shot. (Since Kaitlyn was a baby, metal, such as the snaps on an infant’s onesie, would cause rashes on her skin, she and her mother said.) Kaitlyn says neither the school nor the nurses told her that one of the ingredients of the vaccine is aluminum salts. There were numerous visits to doctors, she had MRIs and other tests, and was given painkillers. Eventually a doctor diagnosed her with fibromyalgia, a pain disorder. Citing patient privacy, a Durham Region public health official said she could not discuss specific cases, but said Durham’s vaccination program educates students about the benefits and risks, including allergies. A recent analysis by several Canadian health-care experts found “major discrepancies” province to province in the quality and completeness of HPV vaccine risk information given to students and families. The 2011 study said such information gaps can have “a significant effect on the legal validity” of consent. “It’s concerning because it’s sending mixed messages,” said one of the study’s authors, Dalhousie nursing professor Audrey Steenbeek. An advocate of HPV vaccinations, she said better information will help curb distrust of vaccines. The Public Health Agency of Canada says vaccines have saved more lives over the past 50 years than any other health measure, and have controlled serious diseases such as polio and measles. 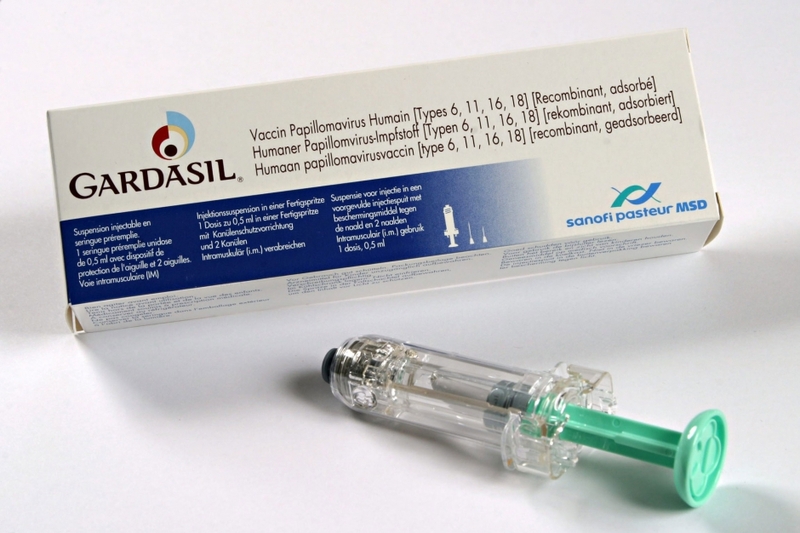 Gardasil’s product monograph — a technical, 61-page document — devotes multiple pages to a range of common and rare side-effects, some serious, connected to Gardasil. The parents of the young women in this story said the documents they received were sparse and omitted some of the side-effects included in the official document. While the number and details of these reports may be concerning, it is important to note that since Gardasil was approved in June 2006, more than 169 million doses have been distributed globally, according to Merck. 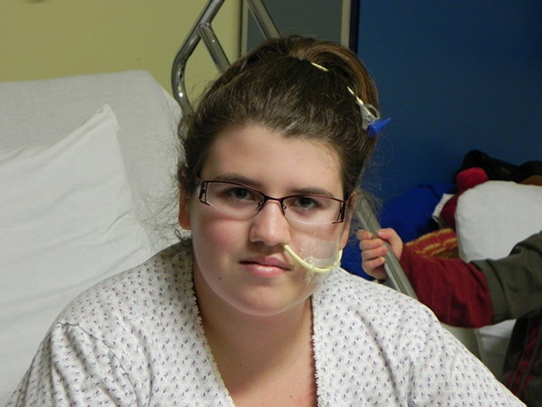 At age 14 Frédérick St-Germain spent 34 days in hospital, six of them in an induced coma, after receiving one dose of Gardasil. One of the side-effect reports in Health Canada’s database relates to 14-year-old Frédérick St-Germain’s heart attack. St-Germain was hunting snow geese with her father and brother when she collapsed. It was October 9, 2010. She had received her first Gardasil vaccine nine days earlier. St-Germain’s heart was stopped for 15 minutes before paramedics reached her rural Quebec home and resuscitated her, said her mother, Mylène Boisvert. She spent 34 days in hospital, six of them in an induced coma. “I had to relearn everything, things that a 2-year-old would have to learn,” St-Germain, now 18, told the Star. 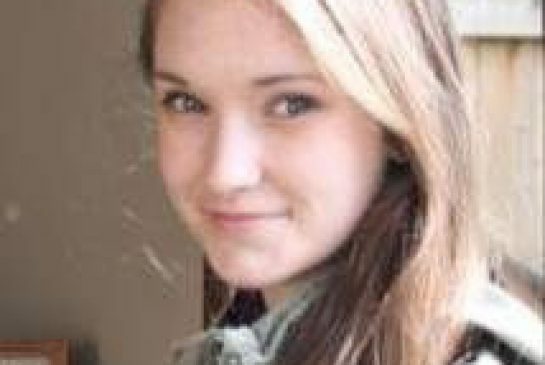 Months later, after a battery of tests came up negative, a cardiologist reported to Health Canada and Merck that he suspected Gardasil caused the girl’s heart attack. Many of the girls interviewed by the Star said that as they struggled to learn what was ailing them, doctors told them the illnesses were imagined, that they had eating or anxiety disorders, that the problems were in their head. Natalie Kenzie, then 13, had lumps on her feet, swollen joints. When Natalie Kenzie of London also developed digestive problems, “the doctors tried to convince me I had an eating disorder,” said Kenzie, now 17 and in Grade 12. A doctor made her cry, she said, when he told Natalie she was trying to harm herself. 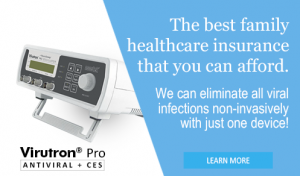 Merck said it monitors reported adverse reactions and, “while no vaccine . . . is completely without risk,” health regulators around the world continue to recommend its use. But in promoting the vaccine, Harper said, health officials often omit the importance of still getting regular pap screens to protect from the HPV strains not covered by Gardasil. The public is not only getting incomplete information about Gardasil from officials in Canada. There are conflicting messages from other regulators around the world, a mix of red flags and reassurances that seem to only raise more questions. 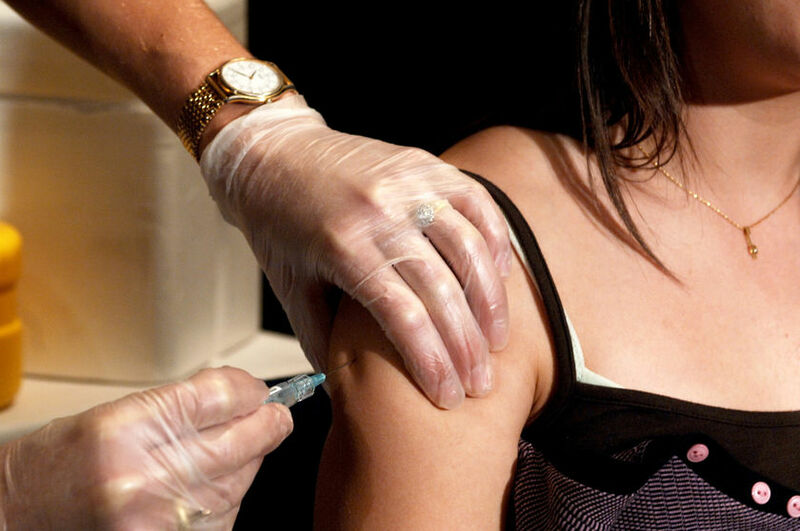 In Japan, the health ministry announced in 2013 that it had received reports of individuals who received the HPV vaccine — the ministry did not specify whether it was Gardasil or another brand called Cervarix — and “experienced sustained pain for which a causal relation to the vaccine cannot be denied.” The ministry also said that “regular vaccination should not be actively encouraged” until more was known about the side-effects. And in the U.S., a review committee recommended against Merck’s application to get Gardasil approved for use among women aged 27 to 45 because company data did not show the vaccine to be effective in this age range. Merck told the Star that the vaccine is approved for the older age range in more than 50 countries. Jen Keats, whose Guelph doctor assured her the vaccine had no side-effects, received the shot at age 29 and subsequently experiences nausea, weakness and migraines. Keats’ doctor did not return messages left by the Star. Annabelle Morin died two weeks after receiving her second shot. Morin says that despite the coroner’s call for an investigation into the role Gardasil played in her daughter’s death, none occurred. 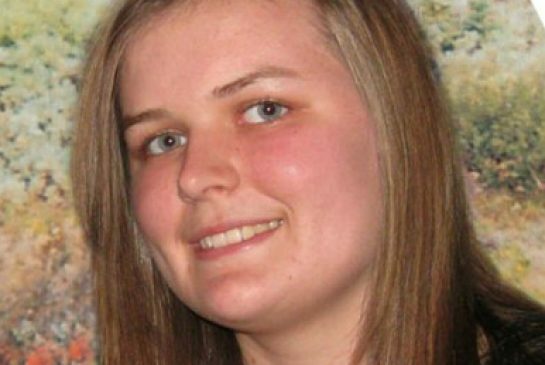 She sued Merck but abandoned the legal action in part, she said, because of difficulty finding a Quebec doctor who would say Gardasil contributed to Annabelle’s death. David Bruser can be reached at 416-869-4282 or dbruser@thestar.ca .